5. Sanskrit Bhasha Kovida, Bharatiya Vidya Bhavan, 1975. 6. Sanskrit Vichakshana, Sanskrita Prachara Sabha, 1976. 2. Captain G. Srinivasa Murthy Memorial GOLD MEDAL, Academy of Ayurveda, Vijayawada. 1978. 3. HARIOM ASHRAM GOLD MEDAL, Gujarat Ayurved University, jamnagar, 1980. 4. HARIANANTH GOLD MEDAL, Institute of Indian Medicine, Pune, 1998. 5. NAGARJUNA SILVER MEDAL, Academy of Ayurveda, Vijayawada 1982. 6. Third prize for the Thesis on Diabates in the National Thesis competition, Vasudev Vilasam Trust, Trivendrum, 1981. 7. Second Prize for the Thesis on Hypertension in the National Thesis competition, Vasudev Vilasam Trust, Trivendrurn, 1982. 8. D.Sc. (Doctor of Science) International University of Complementary Medicines, Colombo, 1991. 9. President's Selection for Biographical inclusion in the 7th edition of Five Hundred leaders of Influence by American Biographical Institute, Raleigh (USA) 1997. The main scope of Ayurveda is the preservation, maintenance and the protection of health in the healthy and, the cure of the disease in the afflicted. Ayurvedic medical system lays stress on early diagnosis of abnormal states and adoptation of curative measures. The intrinsic factors of the body which undergo morbid changes are the tridoshas (Vata, Pitta, Kapha) and they participate in the evolutive process of pathogenesis of various diseases. The involvement of Vitiated doshas initiates the disease process. 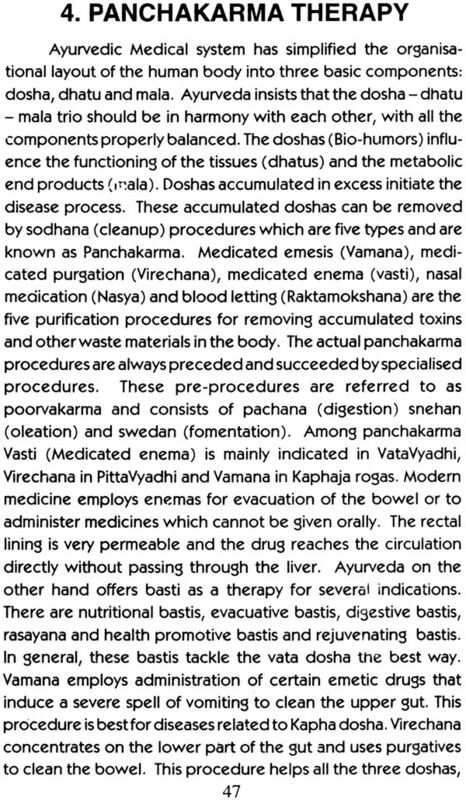 Ayurveda classified the diseases according to involved doshas such as Vataroga, Pittajaroga and kaphajaroga. A careful and critical study of the concepts of vatadosha shows that the functions of vata have striking resemblance with the function of nervous system. 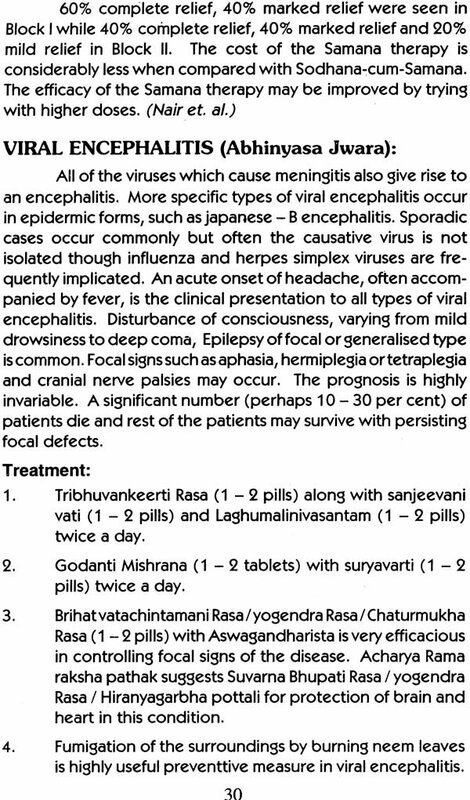 The signs and symptoms of majority of Vatavyadhis suit the descriptions of several neurological conditions. 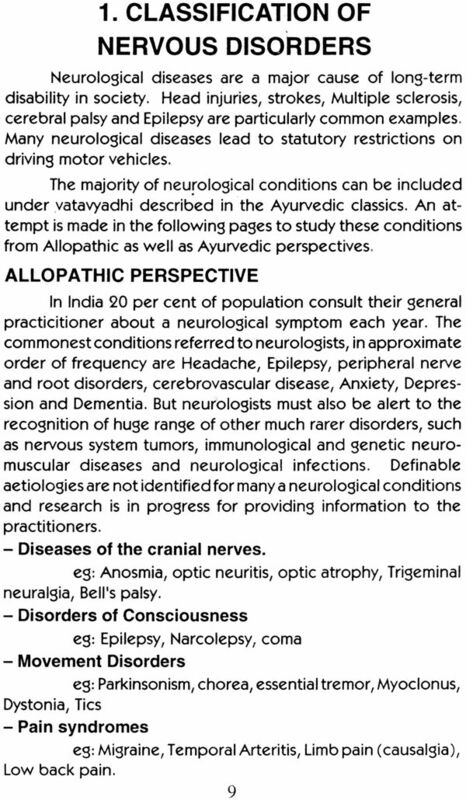 An attempt is made in this book for a mutual appreciation and proper understanding of the point of view of Ayurvedic and Modern system of medical thought regarding the disorders of Nervous system. 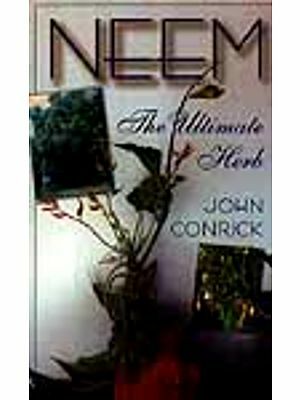 The important Ayurvedic formulations and the experiences of eminent physicians mentioned in this book may prove useful for a general practitioner. The documented data about single drug cures may help the future researchers in planning their scientific studies for evolving a safe analgesic, antipyretic, tranquilizer or a muscle relaxant. 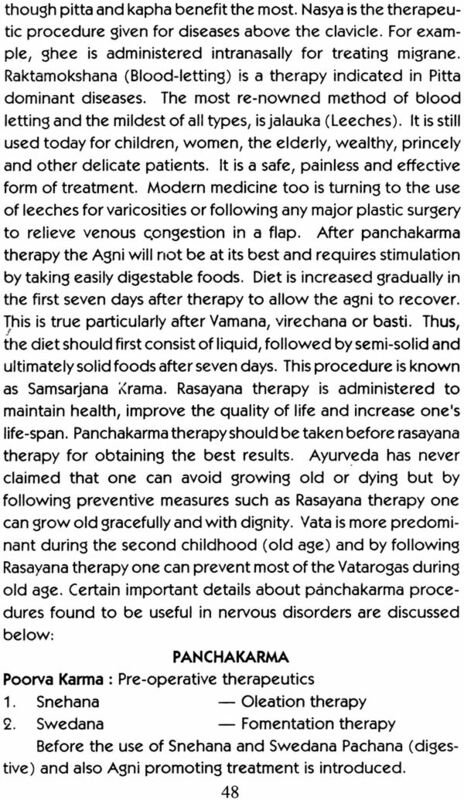 In the management of Vatavyadhisvasti (Medicated Enema) plays a vital role. 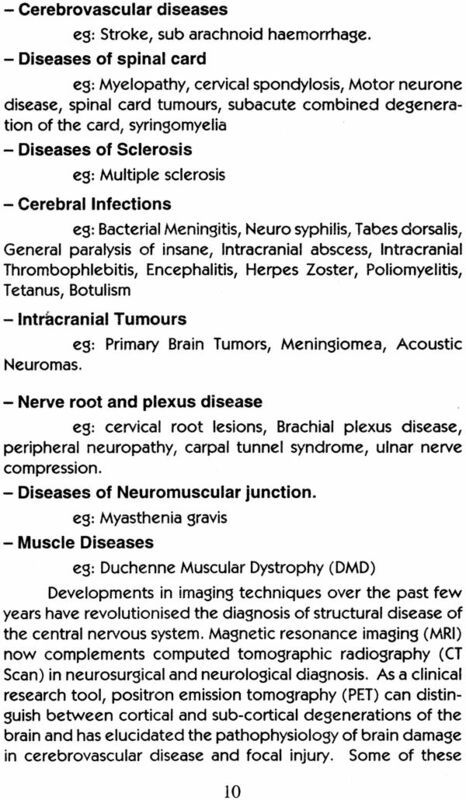 Infact many a intractable condition of nervous system may improve with vasti therapy. 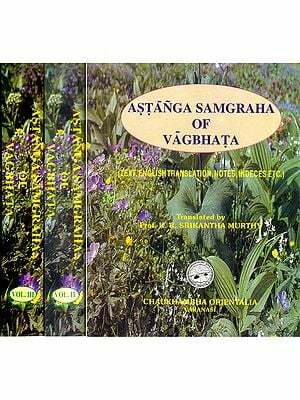 Some of the salient points about Panchakarma are also included in this book. I am very grateful to Dr. Pilla Venkateswarlu for publishing the second book in the series in memory of his father. I express my heart felt thanks to Mr. V. Satyanarayana (Vijaya Maruthi DTP) for typing the manuscript.